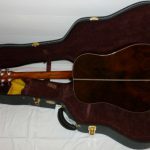 This is a Modern Music/Andy Pascoe Custom Designed Handmade Acoustic Guitar. 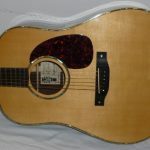 It was made to our specifications by local guitar luthier Martin Cole. It is different to anything he had made before or since, it is a complete “One Off”. 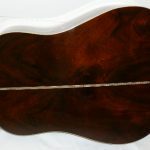 The project was started in February 2008 and it took a year to track down the rare woods from the wood yards across America and to arrange the various paperwork needed to ship rare woods overseas. Another year followed with the making and deliberation over the various aspects of the guitar. 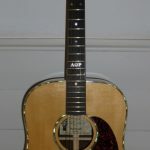 Andy had certain ideas of what he wanted, and with Martin Cole’s luthier skills the guitar was finished in March 2010. 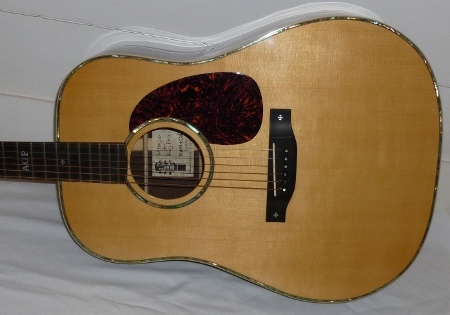 The playability and sound is just stunning, as you would expect from a guitar of this quality. It also looks a million dollars. 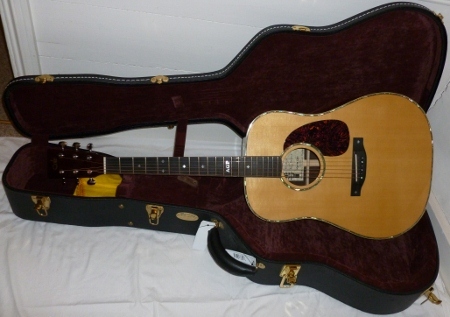 The body is loosely based on a Martin D-45, but the neck is slim and based on a Gibson J-45. 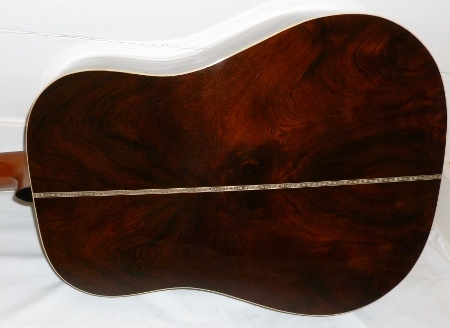 The top is Adirondack Spruce and the back and sides Brazilian Rosewood. The fingerboard is Ebony with snowflake inlays. Other features include Abalone inlay around the body and sound hole, top of the range Gotoh 510 tuners and aged toner on the sound top. 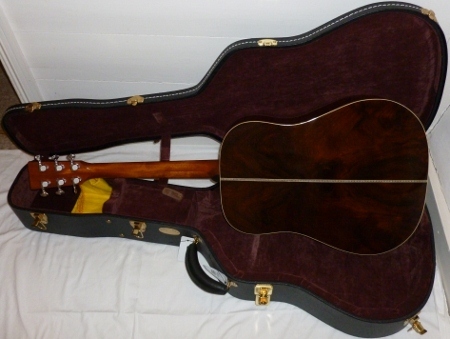 The guitar is complete with a top of the range Martin Deluxe Acoustic Hard Case.